The third Best of the Best Series Swimming event is going on at the BASA Pool. 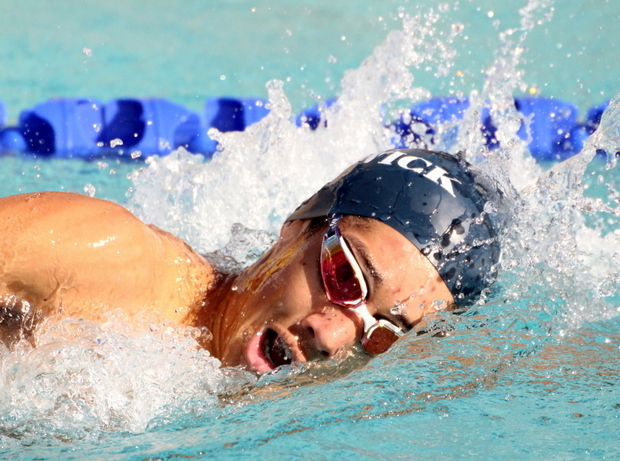 Jack Harvey broke the 13 – 14 Boy’s 400m Individual Medley record that stood for almost 26 years. Harvey broke Stephen Fahy’s July 1st 1992 record time of 5:04.48. Logan Watson-Brown broke the 13-14 Girls 200m Freestyle record time of 2:08.01 held by Madelyn Moore set back on March 22nd 2015. Taylor Horan won the 13-14 Girls 100m Breaststroke touching the wall in a time of 1:31.64, Liana Medeiros was second in 1:38.66 and Mia Ferguson was third clocking a time of 1:40.06. Ben Copeland won the 11-12 Boys 100m Breaststroke clocking a time of 1:39.06, Nate Copeland was second in 1:45.60 and Andrew Smith finished third stopping the clock in a time of 1:51.28. Jesse Washington won the Boy’s 15 & Over 100m Freestyle clocking a time of 55.62, Keagan Woolley was second in 57.27 and Brett Smith third with a time of 57.51. Alyson Scherer won the 13-14 Girls 100m IM with a time of 1:22.59, Talia Thompson was second with a time of 1:23.65 and Katie Stevenson was third in a time of 1:23.81.